Let’s check out The Late Show by Michael Connelly for Book Beginnings on Fridays. 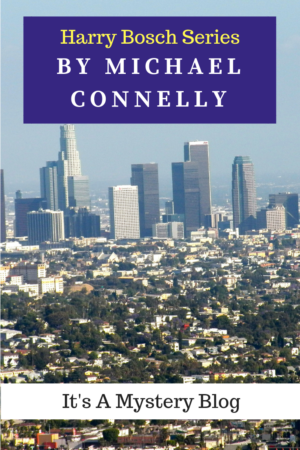 I started reading Connelly’s Harry Bosch mystery series several years ago because of my stepfather’s recommendation and really enjoyed them. This novel introduces a new character, Renée Ballard. Book Jacket Blurb: Renée Ballard is a police detective who works the midnight shift, catching new cases but never getting the opportunity to see them through because they are passed on to the day shift. That is until she and her partner are sent to the hospital to check on a badly beaten prostitute and a young waitress who was shot in a bar fight. Renee senses these are important cases and decides to follow the investigations to the end. Can she obtain justice for the victims no one else cares about? Ballard and Jenkins rolled up to the house on El Centro shortly before midnight, It was the first call of the shift. Michael Connelly has written some intriguing first lines for his novels. This one answers who, where, and when in just a few words. He also tends to torture his main characters with workplace problems. In this case, Renée Ballard is working the midnight shift because she had accused her supervisor of sexual harassment and the supervisor demoted her. What do you think? Would you keep reading? Are you a fan of Michael Connelly?